This is the first book on Korean grammaticalization written in English. 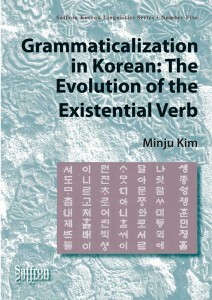 About Grammaticalization in Korean: The Evolution of the Existential Verb: Cross-linguistically, verbs denoting existence have been one of the most fertile sources for the development of grammatical markers (eg, English ‘be’). In the history of the Korean language as well, the verb is(i)- (the old form of iss-) has participated in the emergence of eleven different grammatical markers, including past tense/anterior -ess-, progressive -ko iss-, resultative -e iss-, connectives -ese ‘and,’ ‘since,’ -kose ‘and,’ and -myense ‘while,’ subject marker -kkeyse and four locative particles (‘at,’ ‘from’). 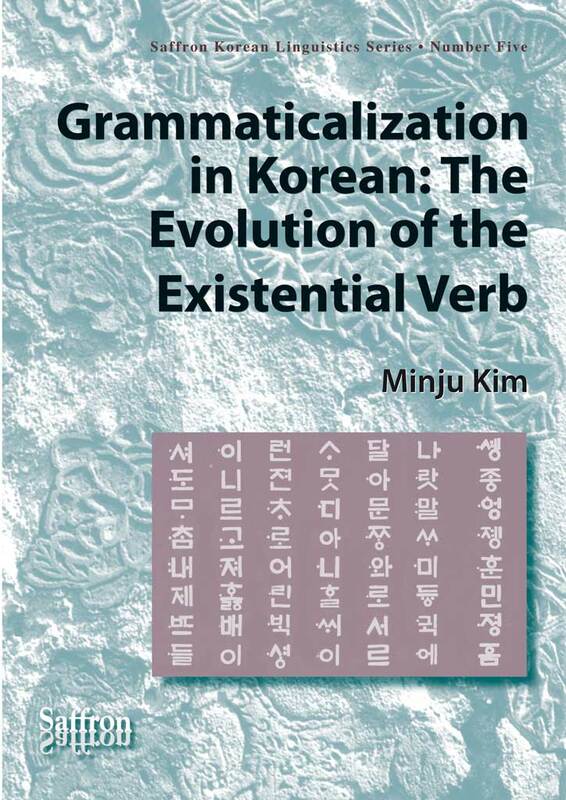 This book analyzes diachronic and synchronic corpus data of Korean, and investigates the multiple developmental pathways of the Korean existential verb is(i)- with cross-linguistic perspectives. Minju Kim is an Associate Professor in the Department of Modern Languages at Claremont McKenna College. Her research interests include historical linguistics, language and gender, language teaching, and discourse analysis. Her research makes use of both diachronic and synchronic corpus data. Her recent publications include Studies in Language, Journal of Pragmatics, Korean Studies, and Korean Linguistics. She received her PhD from the University of California, Los Angeles.